The first Penguin update was meant to fight the black-hat SEO techniques used at some sites which were designed to give higher page rankings for those sites. Black-hat strategies are often used to fool the algorithms of search engines like Google, hence the update announced by Google in 2012. It is widely expected that this Penguin 2.0 will probably be a continuation of efforts by Google to remove those sites that practice black-hat SEO from the rankings altogether. If you intend to pass Penguin 2.0 scrutiny, you should already anticipate the changes that this year’s update will trigger. First, this Penguin is expected to target sites that do link spamming, which is the use of links from other sites specifically to make your own site rank higher on page rankings. If you intend to survive the cut, you should cut off your relationship with spam links as soon as possible. Second, if you want to retain or upgrade your page rankings, do get incoming links from reputable sites that DO NOT practice black-hat SEO. This will show Penguin 2.0 that your site is legitimate and in the running for the long term. Simply put, Penguin 2.0 represents a more dedicated attempt by Google to stop link spamming for good, or at least to the extent that Penguin 2.0 algorithms are capable of detecting. If you use the disavow tool of Google, you may gain more understanding of how Penguin 2.0 will change the way Google views and ranks your site. You may have to get those questionable links off your ship this early if you want to stay in the running in the Google rankings. 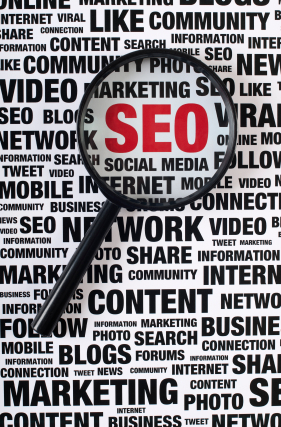 You will be able to see why your page ranks a certain way based on certain search queries. You can also rely on the Google webmaster tools to provide information about your web pages, especially when they are indexed by Google itself. The point of using the disavow tool is to show Google that your site doesn’t espouse black-hat SEO and should be included in the list of reputable websites. With the advent of Penguin 2.0, Google may now understand better how to use their own algorithms to stop link spamming in its tracks. The question is: will Google have to do this on a case-to-case (or website-to-website) basis, or will they need to do a mass slash-and-burn of many websites as the algorithms pass by? Penguin 1.0 was devoted to spotting over-optimization of certain sites for certain anchor text so we can expect that to continue in this iteration. The great thing about Penguin 2.0 (if Matt Cutts is to be believed) is that those sites which appear to be authority figures online may get to stay because they are leaders for the fields they operate in. Your site will be considered an authority site if it has great content that other sites may want to link to. The cliché continues “content is king” and it isn’t likely that will change anytime soon. So if you wish your site to keep ranking well or perhaps to upgrade your ranking, it is always best to provide the best content possible. If your site gets spotted by Penguin 2.0 because of a perceived “unnatural” spike in added links, you can expect to be sidelined by Google as a questionable site. This is because a natural increase in links would be more consistent and thus considered normal. However, if your site seems to get the right “social signals” such as visits from authentic customers who place positive comments about your site, then you may expect this year’s Penguin to view your site more favorably. Penguin 2.0 having hard results for spammers from every side. I will agree with the point mentioned above of content is king, and unnatural linking should always be punish badly in eyes of Google. I am really happy with the coming update but challenges to be on top are increasing gradually.